User Generated Content (also known as UGC) has proven itself as one of the most efficient and powerful tools for the development of your WordPress website or blog. This type of content is also widely used for search engine optimization purposes because it is natural and permanently updating. Most beginners in the field of WordPress administration tend to see user generated content as something that comes out of nowhere and can not be influenced. It is a common but rude mistake. User generated content is always a result of your own work with the WordPress project. There would not be any piece of user generated content, if you do not create your own texts, images, videos or other types of content that attract users` attention and motivate them to leave some reply. In this article we have gathered the most efficient yet simple types of user generated content you might experience within your WordPress project. We will try to observe this types f user generated content and learn how to convert it in some positive metrics for your WordPress website or blog. SEO (search engine optimization) is one of the key factors of success for your WordPress website or blog. Some people may say, that SEO is dead but the only dead thing is the old attitude to how search engines rule the results they show to users. Internet is growing and developing constantly, and Google develops simultaneously to provide us with better answers to our questions. WordPress website owners should think about SEO factors starting from the very first day of their project. The tricky part of understanding SEO is that Google (as well as any other search engine) does not reveal all the principles of its work. However, we do have enough of useful information about the search engine`s modus operandi to develop our web projects in the right direction. The better understanding of all the nuances may come further but to start with we have gathered the most important information about 4 of the newest Google`s algorithms. This information is a must-read for all WordPress website administrators. Each change of design, interface, navigation or any other feature of your WordPress website might potentially cause some problems in performance. This is not a reason to decline any changes, rather to make them wisely and test the results before publishing them live. One of the most important challenge your changes should face is the cross browser testing. You probably know that there are more than one popular browsers in the world. Although Google Chrome is the popularity leader among other browsers, it covers only 65% of desktop users and 57% of mobile platform users. Firefox, Opera, Microsoft Edge, and Safari are still strong and preferred by many people around the world. It means that you need to consider not only the most popular browser users but also other part of your potential audience. You would not decline of at least 35% op your visitors in a moment, would you? Fortunately, WordPress platform can provide you with ample opportunities to test and optimize your website design, content and features throughout all of the popular browsers. Special plugins and services allow you to bring cross browser testing even without knowledge and skills in web development or design. In this article we will observe and analyze the main features and opportunities that some dedicated services can give to your WordPress project. Local SEO is the best strategy to get your closest target audience representatives. Moreover, every modern search engine optimization strategy begins with local tactics. Google gets loyal to businesses in internet that try to represent and advertise themselves among the local audience. The reason is that Google encourages the step-by-step development of an internet marketing strategy rather than ambitions of top position among all competitors within the worldwide search. Local SEO is the strategy that has the greatest potential for small businesses with physical locations. The most prominent examples of successful local optimization strategies can be seen for restaurants, barber shops, local stores, SPA salons and other representatives of small business which often have their websites based on WordPress platform. How to start your successful local SEO campaign and develop your WordPress website in accordance to it further – this is the main question we will try to answer within this article. The content will be divided into two parts: common local SEO basics and specific tips for the implementation of the strategy within your WordPress website. Popularity always creates lots of myths. WordPress platform is the most popular way to open your project in internet and it is not the exception for the rule. Most myths about WordPress are created by people who have not tried to use it at all or might have experienced some problems with their first projects on the beginner levels. WordPress myths are very well-known and we will now try to expose these tales to bring you the true information about the platform. It is very possible, that you have met some of the myths from our list, and even believe in some of them. That is the main reason why we are making our list of expose. The modern marketing reality does not allow to create any successful online project without being always in touch with your existing and potential audience. One of the most accessible and efficient way to communicate with your users comfortably is the email marketing. Most of the beginners in the field of WordPress administration think about email marketing as a simple process of mailing with your website visitors or blog subscribers. But things are much more complicated when you look at them responsibly. Each of your subscribers has different set of demands, needs and wishes. To have an interesting and informative talk with each of them means to study analytics a lot and to experiment with different approaches to reach their attention. There are thousands of email marketing techniques already. We will try to describe the most important things you need to know about email marketing from another point of view. Let us look at the list of the most common mistakes in email marketing campaigns a beginner can (and in most cases do) make. Search engine optimization is known as one of the most important factors of any WordPress project`s success. Strictly saying, SEO is equal to your WordPress website`s popularity. That is why you should not miss any opportunity to improve your website due to the demands of search engines. The main goal of search engine optimization is to cover all (or at least the majority of) demands of Google. We have recently shown the main share Google has in comparison with other worldwide search engines. There is no doubt that a beginner in the field of website administration should set up goals due to Google`s search engine demands. It is also very important to take the right first steps after you install your WordPress website. One of such steps is the registration of your sitemap via Google Webmaster Console. In this article we will give you the detailed guide on how to make this first crucial step on your road to SEO success. WordPress is the platform for any beginner in the sphere of website creation and management. Still there is a problem of getting into the process of setting up your first WordPress website or blog, if you have no access to any kind of advice or guide. The problem is usually met while entering your first pure WordPress project and not knowing where to start. Although the sequence of the first actions is not very important, there is an approximate list of operations you need to do before launching your project live. The disregard of this list can cause severe consequences in form of poor rating among search engines, spam and brute force attacks risk, high bounce rates and other painful occasions. To prevent the damage to your website and its reputation, there is a strong need to take complex actions before launching your website. We have gathered the most important steps you should take right after installing your WordPress website or blog and before launching it live. Some of this actions can be known even to beginners but they are worth remembering even in this case. Take this checklist to your WordPress website and compare the done and undone items. Search Engine Optimization (or SEO) can be determined as one of the most important parameter of any website, including those who are based on WordPress platform. Understanding of the SEO rules and following them are crucial not only for the position of your website in search engine query but also for the sake of your users` experience. It happens because SEO demands exactly the same things most users are looking for: intuitive navigation, clean and useful content, wide social sharing opportunities and so on. The main problem of search engine optimization is that it is very complex and lasts without end. Experienced website owners have already managed to find their golden mean between perfectionism and reality in terms of SEO. But if you are one of the beginners in this field, then you probably need the guiding light. We have gathered the most interesting facts from history and modernity of Search Engine Optimization to guide you through the raging sea of subjective opinions and experience which always float somewhere near the SEO. These facts will allow you to understand SEO from the inside and determine the most suitable strategies of developing your own web project due to its requirements and suggestions. The data in this article are supported with the amazing infographic by SeoTribunal. WordPress platform has been always focused on the beginners in the field of website creation, development and administration. That is why WordPress is built as a pretty simple and intuitive platform for creating and editing content, as well as design to underline some parts of your website or some messages within it. Although WordPress gives you nearly unlimited options for customizing your website`s design and content, it does not possess a wide variety of templates to work with. And the creation of web design elements from scratch appears to be a difficult task for any beginner. Fortunately, there are opportunities to work with different templates and customize them for your website`s needs. One opportunity is to download free WordPress themes and work with a few templates they offer. Another one is to buy a premium WordPress theme and enjoy much more wide choice of templates and tools within its kit. But today we are going to present you the third alternative which can become an optimal choice for your WordPress project — LaunchParty. The process of creating suitable design for online advertisement can be very difficult for the beginners in the field of website administration. WordPress websites also need good advertisement banners either to promote themselves or to provide additional service for paid advertisement for their clients. For a long time, there were only some difficult tools to create web design elements like Photoshop. But now the situation has changed for the sake of all website owners who does not possess special web design skills. Google Web Designer is a brand new application that gives you all needed tools to create advertisement design of any difficulty without special knowledge. Google Web Designer is the new way to incarnate all your design ideas to practical use. We will observe this wonderful tool in this article to show you the main features and opportunities it gives to any website owner, including WordPress administrators. Keyword research is not a SEO tool but also a versatile assistant in the creation of your content strategy. Keyword research should be performed for any website that aim to constantly grow its audience and engage the existing one. Basically, it is one of the first tools you should use while creating your WordPress project. Some website owners rely purely on their sense of the audience and its demands. Unfortunately, this method is very unreliable because the audience`s wishes are constantly evolving and changing. Today`s trends can lose their popularity tomorrow. That is why you should be well-informed about user requests every day. Lots of tools have been already created to help website owners with the task of constant keyword research process. These tools perform deep analytics of user requests and behavior to provide you with the full map of active trends. We have gathered the most versatile and popular tools for keyword research for your convenient decision making. Giveaway is one of the best ways to attract your website visitors` attention and keep them engaged for a really long time. The secret is very simple — everybody likes free stuff. Moreover, giveaways often engage users in some process which is very similar to a game. A good game with a good reward is what the best entertainment looks like. You could have thought that a giveaway is very simple and straight-forward — you just present your users with some gifts for a particular action. But when it comes to the real process, a lot of complications can appear for an unprepared WordPress administrator. Let us look at the process of creating a giveaway with a complex approach and underline the most important stages of it. We will see how a successful giveaway is built step by step. ROI (return on investment) is a highly chased goal for most of web projects which have any way to convert their attendance to money. It is pretty simple to understand the main meaning of ROI: each action, development step of investment you make is compared with the funds it brings afterwards. If you invest less then you get in result, than your ROI is positive. Of course, you could not accomplish positive ROI always (unless you live in a perfect world) but the aspiration to the perfection is clear. One of the most important aspects of ROI is the usage of any tool you have access to. That is why we are talking about footer as one of such aspects, although it is surely not the highest priority tool to consider. The reason is that there were lots of guides about headers, text content, visuals and other parts of any website but footer is usually ignored. We will try to show you the way this part of your WordPress website can also serve for the sake of ROI and overall user experience improvement. WordPress is not only the biggest and most popular platform for websites but also one of the most interesting subjects to study. We study it every day to bring you the most exciting facts and nuances but today we have decided to focus on the numbers and events which are connected with WordPress platform. These are obviously not all the facts about WordPress but the most interesting and those which can show you the peculiarities of the platform you probably did not know before. Sit back and enjoy the most spectacular features of WordPress. Microinteractions are the small answers to users` action within your website. These interactions are usually presented with additional animations while users accomplish some micro tasks. Microinteractions have become one of the most trending web design feature of the modern WordPress websites and blogs. When microinteractions have come live and popular, there were no turning back to the previous static web design. Users got used to be rewarded for their action within any website and just would not bother to spend time on non-interaction projects. That could seem to be very similar to users` addiction but as soon as it brings new wave of developing interest to WordPress project, there is nothing wrong about that. Let us observe all the opportunities microinteractions give to your WordPress website and the benefits they provide. This article gathers the information about how microinteractions work, how can they help your website to be more engaging and what prominent examples can be seen and used within your own project by means of modern premium WordPress themes. UX writing is a term that could be met very frequently in a modern internet environment. If you are following trends than you probably know what is User Experience (shortly UX) writing about and maybe even already use it for your WordPress website. Unfortunately, lots of website owners are not acquainted with the term or do not use its advantages. Today we are talking about the UX writing: from the term`s definition and explanation to concrete examples from the modern trend creators — Google, Facebook, MailChimp and other. This article will help you to understand UX writing and consider the opportunity to use its tips and tricks for your own WordPress website. Google AdSense banners remains the most popular way to monetize a WordPress website. Google provides its partners with the most qualified and diversified support which brings the best conditions for the newcomers to join thousands of successfully monetized websites. More important is that Google AdSense has the predefined banner sizes and formats which can suit nearly any website`s design. If you want to monetize your WordPress website with Google Ads then you need to know the opportunities they provide. We will focus our attention on the best performing Google AdSense banners in this article. This top is made by Google itself and is based on the most complete analytics data from around the world. The most important index is CTR (click through rate). This index shows the effectiveness of a Google AdSense banner and the income you can expect from it. The choice between the most suitable banner for your WordPress website`s design and the best performing one is a tough deal. But there is also an alternative way to adapt your website`s interface to the most well performing advertisements. This way you can follow the newest trends in web design and attract more active visitors to your WordPress project. Most WordPress platform`s newcomers are confused with the existence of two similar names: WordPress.org and WordPress.com. Despite of similar names, these platforms are very different in their essence, features and opportunities. It is crucial for any WordPress admin to know the difference and to make the right choice from the first steps. Today we will make the detailed analytics of these two platforms and provide you with the important information for your choice. This article is the “must-read” for any new WordPress website owner. So, if you have a friend or a client who is in the position of a WordPress newcomer, then you should share this article with this person for his or her good. Newsletter is one of the main marketing tools of any successful WordPress website owner. Previously we have talked about the common pieces of advice for growing your subscribers list and using the best WordPress plugins for this purpose. But now we will focus on one of the most important constituent of this complex process — the subscribe button. The subscribe button on your WordPress website can become the last obstacle for a user to subscribe for your newsletter, if it is ugly or wrong situated on the web page. To avoid such negative effect, you should follow some simple rules on design, copywriting and web development related to the subscribe button and its environment. Today we have gathered the most essential tips on creating the perfect subscribe button for your WordPress website in this article. 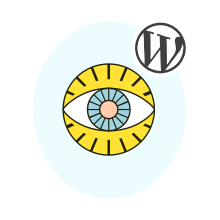 This tips concern to the button positioning, color, timing, audience targeting and other basic features to which you should pay attention while creating this important subscription tool of your WordPress website. Google answer box is an additional feature of the search engine that helps users to find a quick and short answer to a concrete question. This block appears on the top of all search results if Google evaluates users request as a question and if the search engine has found a good answer to it. Google answer box shows not only the text, but also the corresponding picture and link to the source of content. Usually users further to search some other information if they simply found the concrete answer in this special top block. But the research shows that the answer block gets up to 50% of clicks from users who see it. That is why this place of Google search results is very valuable for any WordPress admin who wishes to develop his or her project and grow its audience. Today we will focus on the methods to enhance your chance of appearing at Google answer boxes and getting new visitors for your WordPress website or blog. In this article you will find common advice about SEO and content tricks for making your web pages more relevant to users` question queries. Video content is getting more and more popular nowadays. It is now simply inevitable to use videos on your WordPress website if you want to keep the loyal audience and increase it. And you do not need to create your own video content. You can just use the YouTube and Vimeo services to look for thematic content and put it to your WordPress website for your users’ entertainment. It should be also mentioned that WordPress itself provides and opportunity to upload videos on your server. But this method of storing and showing videos is connected with lots of problems due to big sizes of video files. Services which are specially created for this purpose are much better and convenient for both WordPress admins and users. Today we will compare YouTube and Vimeo services as two most popular video hostings of the world. Both services provide ample opportunities for video bloggers or for those who want to use the created content for the sake of their WordPress projects. We will focus on such subjects as pricing, monetization, upload limits, audience reach, video editing options and privacy control. YouTube and Vimeo will be compared within these metrics in this article. This comparison will give you the clear picture of all main features for both services and will allow you to make the best choice for your WordPress website. Widgets are very important and helpful tools to set up and develop your WordPress website. But sometimes we store more tools than we need for the near future. In this case the problem of overwhelming by the widgets can appear. The other situation that involves widgets` disabling can appear when you change your WordPress theme or make some other changes in the website design. Some widgets can no longer work efficiently with the new design set up. Than you can decide to return to the previous version of design or just the need of some old-and-faithful widget can appear. All this cases need to be dealt with suitable approach. How to maintain WordPress website and admin panel in order and disable the unnecessary widgets? In this article we will desirable 3 of the most simple and efficient ways to deal with this issue. Grammar check and spelling play a more important role than commonly considered among the majority of internet users. In terms of business or a serious information project, the absence of errors in text content is a basic requirement for winning a good reputation among its audience. The problem of checking grammar sooner or later comes before every person who writes the texts. Despite the high level of literacy, everyone can make occasional errors that are difficult to notice without additional proofreading of the text. And additional proofreading of the text significantly enlarge the time spent on creating content. An adequate way out of this situation is to attract artificial intelligence to perform a simple, but long and tedious procedure for checking the written text. Unfortunately, even the most modern tools can not compare with a human as a text checker. However, they can significantly facilitate this task and save you a lot of time and effort. Today we will review the 3 best tools for grammar check and spelling. All the tools from our list are free to use. In addition, there are many more WordPress plugins and browser extensions that perform similar tasks. But we have chosen the optimal tools for you in the ratio of ease of use and performance. Working on the reputation of your business on the network is one of the most important and most complex tasks at the same time. The importance of reputation is justified by the open dissemination of information on the internet: one review can be read by millions of people around the world. The complexity of working on a reputation is based on a psychological factor: it is difficult to deal with angry or just negative people and respond to their reviews in a weighed and polite way, offering compensation in case of mistakes on your side. However, working with a reputation does not end with the processing of feedback. Reputation depends on many nuances, and the main ones we will try to consider in this article. The good news is that the amount of work with reputation will always be correlated with the attendance of your site. This means that in the first months (and possibly years), this type of activity will not take much of your time. In addition, you can easily understand the level of popularity of your project in terms of the amount of time you spend working with a reputation. At all stages of work on reputation you need to focus your attention on 9 critical aspects. Further we will consistently consider each of these aspects. Domain name plays a very important role in the popularity and success of your project. An interesting, memorable and easy to write domain name will be an additional reason to visit your site, and a difficult domain name will deprive you of a certain percentage of potential visitors. Any serious project begins with a thought-out strategy for the development and branding. Branding will always include the project name and interpretation of this name in the domain name of the site. Otherwise, you run the risk of encountering an insurmountable problem of an occupied domain name, on which the entire strategy of your branding is built. The number of internet sites is very large and increases with every second. Therefore, choosing a good domain name, which is not yet occupied, can be a difficult task. One of the useful helpers in this matter will be an automatic service for the generation of domain names. Today we will look at a list of free and efficient services for generating domain names so that you can choose a convenient option for your needs. All these services use artificial intelligence to form variants of domain names and immediately check the availability of the proposed options for use. Not all of the suggested options will be interesting and useful, but their number will allow you to select several suitable ideas for a real domain name. Comments are an important part of your WordPress site`s life. The presence of comments on your posts is evidence of the readers` interest in the content of your internet project. In addition, comments are a good incentive to start a discussion among a less active audience, who will never start a conversation on their own, but will gladly join the already existing one. Well-commented blogs have higher positions in search results. This occurs due to the improvement in the behavioral factors of the site ranking. In other words, you increase the length of time users stay on the site, the depth of pageviews, and reduce the failure rate. In accordance with the improvement of these indicators, search engines start to treat your site better. Involving users in commenting is a fairly complex process. For this reason, a large number of modern blogs have no active commentators. However, the opportunities for attracting active commentators are quite broad and accessible. The main point is that using these opportunities is necessary in a complex manner. Only in this case they will bring the desired result. Today we will talk about the simplest and most accessible methods for involving your audience in the commenting process. All these techniques are better to apply from the very first day of your internet project`s life. In this case, the process will be faster and more efficient. But do not despair if your project already has a rich history, good attendance, but very few comments. This situation can be gradually corrected if you follow the advice that we give in this article. WordPress is the best Content Management System for beginners site administrators. WordPress CMS is extremely simple for initial acquaintance. This is the main reason for its popularity among newcomers who want to create a personal website or blog. But the further you go into the study of the system and the more you try to develop your internet project, the more difficult tasks it can become. WordPress can be fully explored on your own. But it will take a lot of time and perseverance. A much simpler option is to gain experience from more competent WordPress administrators and developers. If such knowledge is presented in an accessible and consistent way, then it will help you deal with most nuances much more quickly through an independent study. There are several easy ways to quickly get key knowledge of WordPress. The most obvious way is to read cognitive articles, which is what you are doing right now. Well done! We encourage you to visit our special section for Beginners. And we advise you to start reading with one of the most interesting and useful article: the Most Awful Mistakes of a Site Owner on WordPress. However, there is another convenient and enjoyable way to get knowledge. This method consists in attending seminars and lectures on WordPress administration. And of course, there is no need to attend such events personally. After all, we live in the age of digital technology! Online courses and seminars from professionals in the field of WordPress administration will help you quickly join the environment of successful site owners. In this article, we offer you a list of the most useful and interesting courses on mastering the skills of WordPress administration. Choose the most suitable for yourself! Caching plugin allows your WordPress website to load much faster. The download speed of the site is a key indicator of the quality for any modern website. A huge number of people expects your site to download within 2 seconds or even faster. Fortunately, the choice of tools for properly caching is quite wide and available to every administrator of the site on the WordPress platform. It remains only to decide which of the existing tools will be best for your site or blog. Now the most popular caching plugins are W3 Total Cache and WP Super Cache. We will carry out a comparative description of the two plugins, so you can make an informed choice. In addition, in this article we will examine the principle of caching plugin operation. Without this knowledge, it will be hard for you to appreciate the advantages of the tools that we will be talking about here. WooCommerce vs Shopify: which eCommerce Platform is Better? The commerce on the internet is expanding with each passing day. There Constantly appeare new online stores that offer unique products or services. WordPress is also a very popular platform to accommodate online store. There are many different approaches to creating and maintaining your own online store. Today we look at the two most popular methods that involve the use of WooCommerce and Shopify platforms. The choice between WooCommerce and Shopify should be based on a conscious campaign, that is why we will try to highlight the most important moments for every online store owner. It should also be noted that the choice of a specific eCommerce platform should be based on the individual needs of each business line. However, in this article we will try to give a sufficiently comprehensive overview of the general characteristics of each platform, so you can make the right choices of your own. Search Engine Optimization is crucial not only for your site in common, but for every WordPress post you create. If you have already created a unique text and visual content, but have not optimized it for search engines, the chances of losing potential readers are quite high. It makes no sense to risk huge losses among the target audience, as modern tools for WordPress offers convenient features for fast optimization of any post. One of the most important instruments for optimizing is the Yoast SEO plugin. Today we look at all the possibilities of this plugin for easy optimization of each new WordPress posts. The main advantage of Yoast SEO plugin is its versatility. With this tool, you will be able to optimize not only the pages` meta tags while creating a new post, but also the settings of social sharing and more advanced options. There are other useful tools for the optimization of WordPress posts. Also, do not forget about the built-in capabilities of the WordPress admin panel. We will analyze all these features in detail in this article. With the help of this walkthrough, you will be able to easily build SEO-optimized content, which will be better ranked in the search engines results. We have previously written about, how much should you spend on a WordPress site. If you are already familiar with this information, you know that one should spend a lot of money for this purpose. Any internet project needs constant attention and updating. And sites on the platform WordPress are no exception. However, there are ways to improve your website or blog without any financial investments. In this article, we will discuss a simple, effective, and (most importantly) free methods to improve the performance of your WordPress site and amaze its users. You can adopt them all or choose the most suitable to begin work on the optimization of your site. This process can occur gradually and do not affect all aspects of project activities at the same time. But in the end you will come to the knowing that the process of improvement never stops. People tend to make mistakes. And the owners of sites on the WordPress platform is not a miraculous exception. However, various mistakes lead to different consequences. Site administration errors can lead to loss of potential and existing audience as well as to the loss of good reputation in the internet. As in any other case, you can learn from your mistakes or learn from others’ missteps for your own benefit. We hope that this article will help you avoid the most terrible mistakes, that the site administrator on WordPress is able to make. Text content is the basic element of your potential audience engagement and sales. Visual content will draw initial attention to your website or blog, but visitors will not look at the image forever. They need something more. Useful and interesting texts will be the key for involvement and gradual incensement of the audience at a long distance. But how to create content that will meet these goals? We will reveal the basic techniques of creating a great text content in this article. The most common mistake of beginners is to transfer their own needs and desires to the potential audience of the site. So we are trying to fit visitors of your site to ourselves. This approach is not right. If you want to create interesting content for your readers (rather than yourself), then you should consider some important rules of the game. Next we will talk about 6 consecutive steps that will allow you to get closer to your readers and create interesting content for them. We have already talked about the value of email marketing and the importance of attracting new audiences through this channel of communication with your readers. But before you begin your march to success, you should take the first positive step. This step is the creation and gradual expansion of the base of subscribers for your newsletter. There are many ways to collect and increase the list of subscribers. We will consider the black methods that can lead to spam filters sanctions. Such an approach is short-sighted and dangerous. Instead, we have collected the top 5 effective and relatively simple ways to build and expand your list of subscribers. After reading these tips, you will be able to choose the optimal strategy depending on all the features of your project on the WordPress platform. However, we recommend using a combination of all these strategies, considering reasonable limitations. In this case, restrictions will be directed to ensure that newsletter does not bother the audience too much. Do you still think that WordPress platform exists exclusively for the little-known bloggers and startups in the web? We have a surprise for you! Convenience and functionality of WordPress has long been appreciated by many leaders in their fields of activity. Using WordPress is not a sign of a low budget or a small support team of a site. You will see the truth, when you meet the participants of our list of the biggest business projects using WordPress. Here we present a list of the most interesting and well-known sites that are based on WordPress. Naturally, there are other interesting projects which trust WordPress. But we will focus on those that prove the irrefutable leadership of WordPress as the best platform for the sites in various topics. We hope that these sites will become an example for all novice bloggers and businessmen in the web. Starting and developing your project on the internet with WordPress is the most profitable and interesting way to succeed. Social media has become an integral part of any modern marketing strategy. Despite the widespread popularity of social media, many still do not have a clue how to approach the creation and implementation of strategies in this field of activity properly. Especially if you are a beginner, it would be difficult to identify the main landmarks of your own. Therefore, we have collected the basic rules for creating a successful marketing strategy in social media for you. Consistent adherence to these rules will allow you to better understand the social media, to find out something interesting about its structure and value. Also you can discover a minimum determination of the main aspects that you need to consult with experts in SMM. All the tips in this article do not require special knowledge or training. They just require a little amount of your time and a desire to understand the insides of social media. On the other hand, you should not expect a stunning effect within the application of these rules in practice. Remember that they are the basis and not the secrets of success within one day (such thing does not exist in any field of activity). One of the first things you have to decide when considering a website is if you want to hire a developer to build you software from scratch vs using a CMS like WordPress. Hiring a solid developer will most often get you the best result, but this can cost thousands or even tens of thousands of dollars. WordPress is very easy to use even for non-tech savvy people, but it can be confusing at first. Initially all the settings, options and features can be overwhelming. This usually subsides after a few weeks of regular use. Once you find your groove you will see that it’s a very efficient and useful tool. Many beginners as well as experienced users find that WordPress serves its purpose, but they may be missing out on some useful features. WordPress is very powerful and has endless potential as a CMS. Getting to know your way around some key admin screen features can help you unlock some of that potential. WordPress is a great CMS for SEO right out of the box, but optimizing your site for success will take some effort. Getting good results won’t happen overnight. You will have to stay consistent and keep up with the latest trends. The good news is that SEO is easy enough for anyone to learn. The use of globalized technology is has changed the way we behave. Especially when it comes to shopping or searching for services online. More and more people are going online first before buying anything. As a small business owner, having a website is a necessary part of doing business in today’s world. There are many business owners who wonder whether they need a website or not. For most industries it’s not even a question of whether you need an online presence, but how to manage it. Although blogging and the way people interact with blogs is constantly changing, it’s been boiled down to somewhat of a science. Naturally it’s a mixture of creativity and proven techniques, along with some networking knowhow and web development skills. One thing is for sure, there’s no secret recipe for success and if you want to be successful, you’ll have to do a little experimenting. Are you ready to launch your WordPress website? Each day there are thousands of new websites are published. To makes sure your site is optimized properly and stands out from the crowd you’ll want to avoid some of the common pitfalls of publishing from the start. This article goes over some of the most common mistakes beginning WordPress users run into when launching their websites. WordPress is hands down one of the best content management systems for SEO. A lot of people see spending the time required to get good search engine visibility as time wasted. Nothing could be further from the truth. Optimizing your site takes diligence and hard work, but it will definitely pay off. Using the tips offered in this article can help you optimize your WordPress site to gain more subscribers and improve your website. We think that good SEO should be an integral part of your online strategy. Checkout these WordPress plugins to help manage your SEO strategy. Search engine web crawlers, also known as spiders, don’t spend a whole lot of time on your website. The web crawlers of today comb through your site and collect content, ignoring your meticulously placed CSS and HTML style elements. To begin with, it’s a good idea to pick a theme that places content at the top of the page. Most search engines will not scan past the first half of your page. There are just way too many pages to index and a third of a page is usually enough to get an idea of what a website is all about. Choosing a web host is one of the first things you should consider when you start building a website. To make your website available on the web, you will need a space to put it. Your web host provider will supply this space for you. Your host will store all your site files and the traffic you’ve received. Web hosts also offer other services such as security, technical support, email, FTP access, domain name registration and more. Many people who are starting out often overlook how critical it is to find the right web hosting service. Finding the best host for your needs can help your search engine visibility and bring more traffic to your site. There are a variety of options available for WordPress hosting. In this article we’ll help you choose the best host for your WordPress website. Our goal is to give a basic guide of what you should look for in a web host, and the things you should consider before deciding on a host provider. We’ll also share a list of some of the most popular WordPress host providers. WordPress is a great starting point for any type of blog and is one of the most popular CMS solutions for a reason. It’s one of the most inexpensive ways to build a platform and you can customize just about every aspect of your site. Beginners can easily post videos and share content without any knowledge of PHP or HTML. You also won’t have to worry about hosting costs, updates, downtime or cache problems. Another huge plus is access to the WordPress community, which provide bloggers with a torrent of online support from all over the world. Most people start blogging with the free version of WordPress. If you are at the point where you want more flexibility and options for customizing your site, you may want to purchase host space from a provider. One of the easiest ways to use the full potential of your online presence is to create a self-hosted WordPress blog. You can create more traffic to generate a buzz or make some money. This is an easy and inexpensive way to attract the right kind of traffic, and monetize your site. The good news for newbies, novices and all kinds of beginners is that launching your own self hosted blog is really easy. You don’t have to be too tech saavy to setup your own self hosted blog or site, and there are many tools that can help make things even easier. If you can drag and drop, and you have a bit of knowledge of FTP, you can easily create a self-hosted site with plenty of potential. All you really need is a few bucks a month and a bit of time to learn the basics of installing and setting up your page. Common site files are .jpg pictures, .mp3 music files, and .mp4 video files. Bounce Rate is a term that you might have heard before. I know what you’re thinking and the answer is no. A bounce rate is NOT a measurement of times you can bounce up and down on your chair before a page is done loading. Bad jokes aside, a bounce rate IS a term used to describe the percentage of people who visit one of your webpages, and leave without viewing any other pages on your site. How to configure WordPress permalink for better SEO? By configuring the right type of permalink, you will be able to make your post adorable to leading search engine like Google and Bing. Adding a custom permalink to your post can also give you an extra edge on your SERP competitors as well. If you are not sure about how to configure your website’s permalink or which permalink setting would bring the best profit for your site, then keep reading this post. Pingbacks are the comments created whenever one blog is linked to another and enable pingbacks. These are in fact the remote comments. Something is being posted by a person on the blog. Another person posts something on his blog that is linked to post of some other person. When this occurs a pingback is automatically sent to the first person when both persons have blogs with enabled pingbacks. In order to create pingback, all that is required is to link to someone else`s blog post. In case of that post having pingbacks enables, blog owner sees an appearance of pingbacks in the comments section which they can then approve.